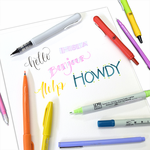 The Zig Memory System includes a variety of double-ended markers specially designed for lettering, coloring, and papercrafts of all kinds. 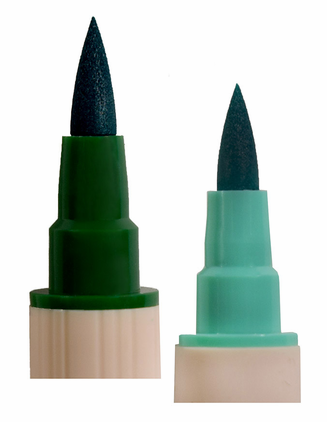 The Zig Brushables feature flexible fiber brush tips on each end- one a solid color, and the other side a 50% lighter shade of that color. Water-based ink won't bleed through most papers.